Simple, effective sales analytics software. Sell smart. sales-i simplifies data analysis to give you pin-pointed accuracy to improve your sales performance. You're sitting on a goldmine. We've built a drill. If you’re anything like most wholesale distributors, 80-90% of next year’s revenue will come from your existing customers and sales-i uncovers the information you need to sell more. On average sales-i customers free up 18 minutes per day to sell more, resulting in a 17.5% uplift in sales revenue. sales-i CEO, Paul Black explains exactly how our award-winning software has been transforming businesses across the world since 2008. See how sales-i helped world renowned Maxxis Tyres grow their sales by 28% since using our sales performance software. Learn more about our sales software and find out why our customers in the manufacturing, distribution and wholesale industries love us. sales-i is already helping volume manufacturers, distributors and wholesalers like you to accelerate sales revenue. Sales performance software for SMEs and recognized large enterprises. Our cloud-based tool is trusted to deliver outstanding sales performance to any David and Goliath. We’re the #1 provider of sales analytics software. The parent company of PMR, Automotive Brands, has been using sales-i for over 2 years and we’re incredibly proud to support their local Midlands BTCC team as prominent sponsors. Ranked a Leader in Sales Analytics and CRM for Spring 2019, read over 130 independent reviews from real sales-i users. Make data analysis simple, so you can focus on the tasks that really matter. 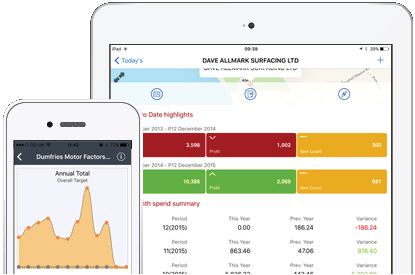 Book a demo of our sales software today.